As I type this up, rain is falling heavily in the main plaza of Belorado and I have ensconced myself beneath the awning of a local bar, praying that my laptop (which has been on the fritz the last five days) will hold out just long enough to allow me to tell you about the most beautiful and perhaps overlooked city in this part of the world, Logrono. 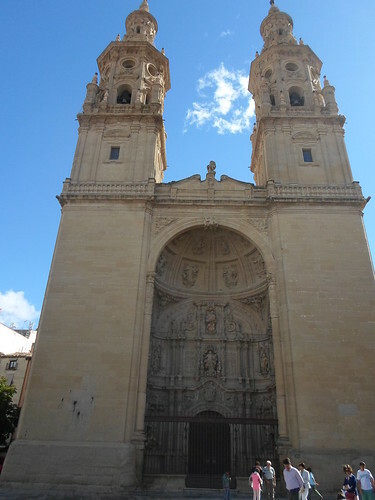 Before arriving in Logrono to spend two magical days, I walked through the dusty hills of La Rioja, passing through quiet towns with small stone plazas with names like Estella, Arroniz, Los Arcos, and Viana. 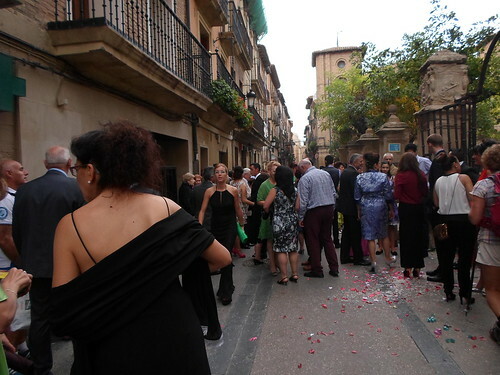 Viana was especially charming; I was there last Saturday, and there was a wedding that had drawn seemingly everyone from the area to celebrate. One thing I can say for sure is that the Spanish seem to think that the more ostentatious one dresses, the better. Women wore elaborate lacy hairpieces, men wore blazers with slacks just about every color of the rainbow, and generally everyone looked like peacocks trying to outdo each other. 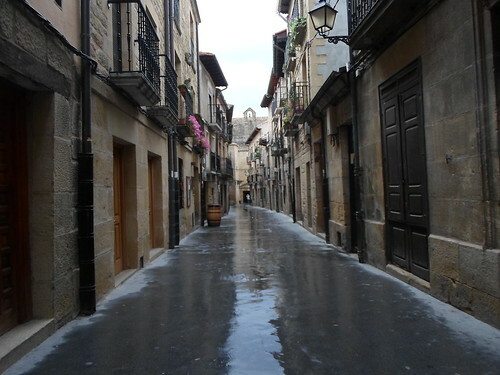 There has been rain on and off since the weekend, so I didn’t linger too long in Viana, and made my way into the center of Logrono. 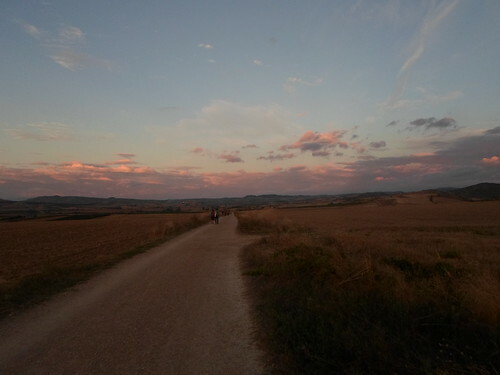 I had a chance to go sightseeing for a little bit, and bumped into some friends from the Camino. We headed down to the well-known Calle Laurel for tapas and wine (I counted three glasses in about 15 minutes) before my excellent Couchsurfing host Alberto picked me up and drove me to the apartment he lives in with his girlfriend Iciar. The plan was for me to shower, take a nap for a few hours, and then come back into the city to hit some of the local tapas bars, but after climbing into bed I fell fast asleep and didn’t wake up until 3:30 AM, when my hosts came back in from their own night out. 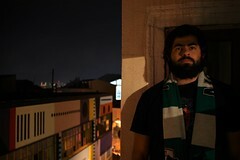 The next morning, I was fortunate to meet up with Jorge, a friend through a buddy from my old job in Boston. Jorge was quite the tour guide; he drove me out to La Guardia, an old medieval city on a hill a short car ride (my first in ages) north of Logrono. La Guardia is known both for its ramparts and its location in the midst of several exceptional wineries, including a few which Frank Gehry designed. 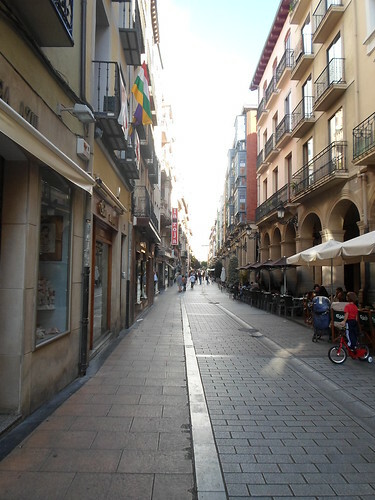 We wandered the streets for a while, then headed back to Logrono, where Jorge is originally from. As such, he knows all the best places to go. 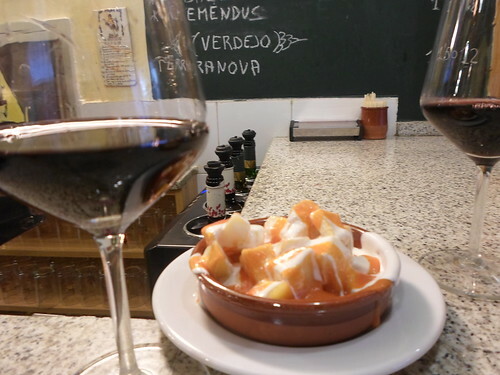 In Logrono, everywhere you go to is cheap (literally 1 Euro for a glass of wine), so it isn’t about finding the best deal; it’s simply about finding the bar that makes the best of whatever it is you want. In this case, whatever happened to be patatas bravas; basically, fried potatoes in a piquant tomato sauce with a healthy dose of house mayo. In the states, when I have eaten these they usually come with aioli, but Jorge explained to me that this is simply an American take on the original. I wouldn’t disagree with him on this either, especially because all the other locals in the bar were ordering the same dish. After lunch, Jorge drove me back into the city, where we said our goodbyes. 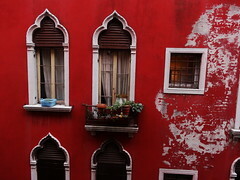 I still had several hours to kill before nightfall, so I wandered around the casco viejo, ate some delicious gelato, and bought a bottle of wine to share with Alberto and Iciar later that evening. 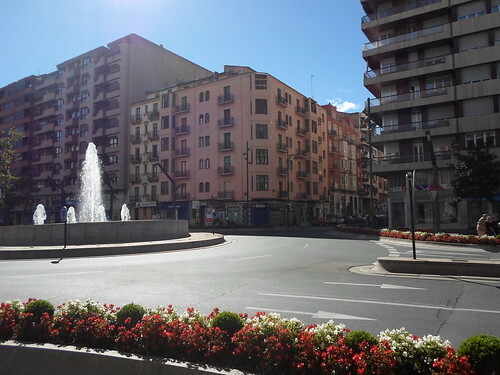 The next morning, I left Logrono with a slightly fuller belly than when I arrived, grateful that I had stayed an extra day in this glorious city and hopeful that someday I will return. 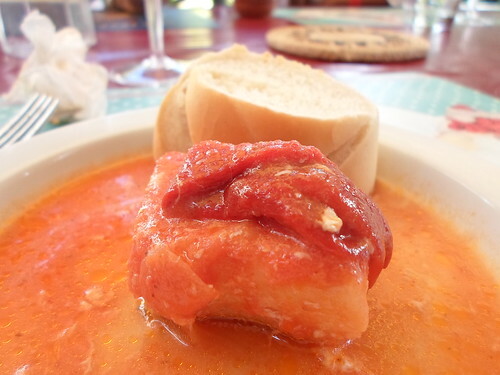 Posted in Camino de Santiago, Food, Home CookingTagged backpacking, Camino de Santiago, couchsurfing, hiking, La Rioja, nom nom, photography, pilgrimage, Spain, travelBookmark the permalink. Gracias Covetotop! 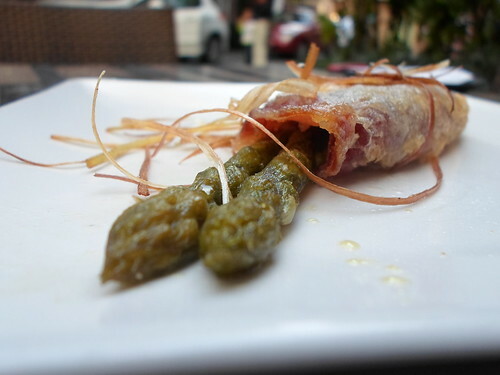 He conocido a una pareja que viven en Tarragona. Cuando termino el Camino en 3 semanas voy a Catalunya. Vives cerca, no? Tarragona está bastante lejos de mis “headquarters”; es una bonita ciudad, llena de monumentos y ruinas de la época en que fuimos parte del Imperio Romano. Te gustará. I like your gut and your style to write. Good luck and keep us posted! Nathan, thanks for the postcard! We got it yesterday. 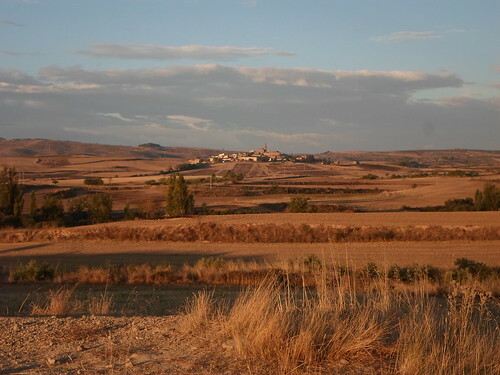 I love reading your blog and seeing the Camino through your eyes. Yes! I’m glad it came, and I’m happy you’re enjoying the Camino. Great adventure, Nathan. You look happy and rested in the photo – perhaps the glass of wine didn’t hurt. Very rested–and it was more like 6 or 7 glasses. 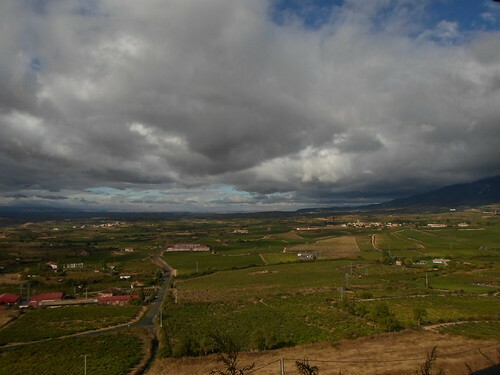 Rioja wine is so good that you don’t feel anything the day after. 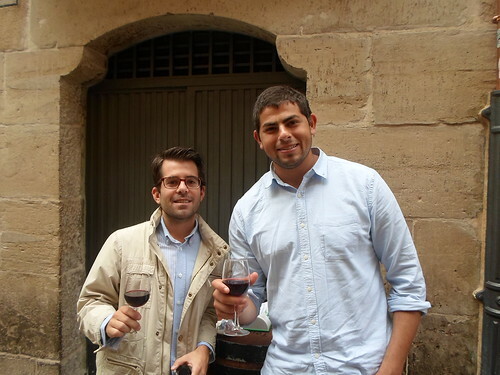 Ah, rioja, one of our favorites!